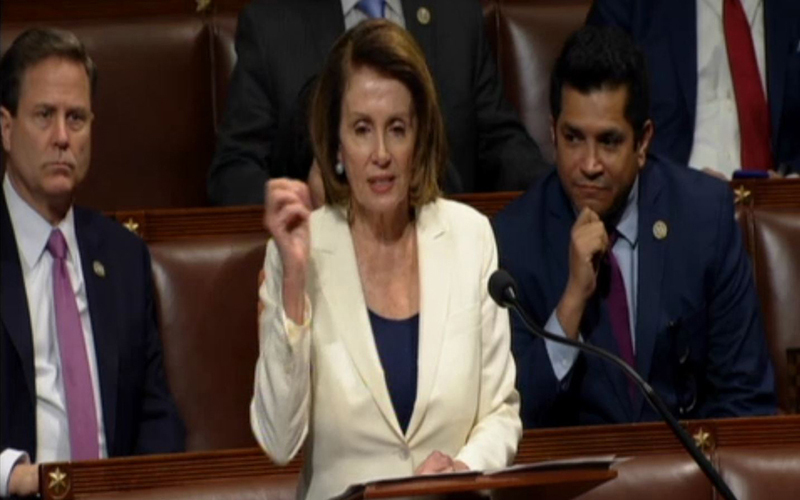 WASHINGTON – House Minority Leader Nancy Pelosi’s unprecedented, all-day floor speech Wednesday demanding a vote on DACA legislation became a rallying cry for advocates, as Congress prepares to vote on another budget extension to keep the government open. 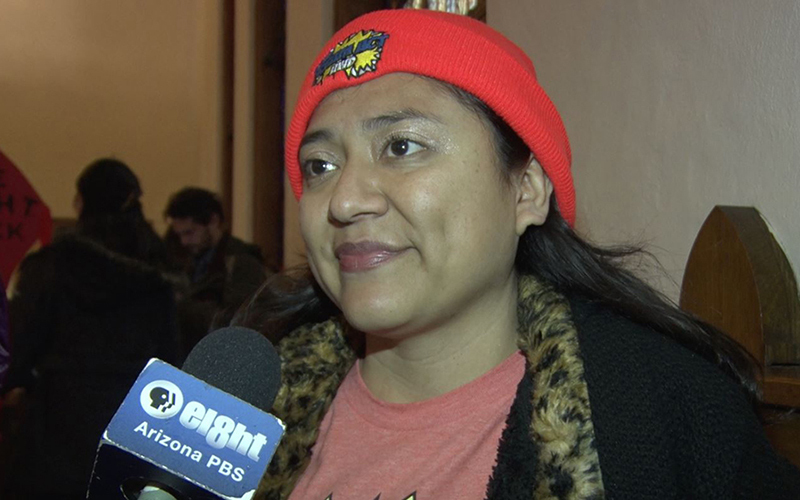 Arizona Dream Act Coalition Executive Director Karina Ruiz credited Pelosi for providing leadership on the issue, but said “it will take more than this” to force a change. “Politicians and Congress are talking about immigration not because they want to do it, but because immigrant youth has been reclaiming our space in Congress,” said Ruiz, who was in Washington for a National Day of Action for a Clean Dream Act. 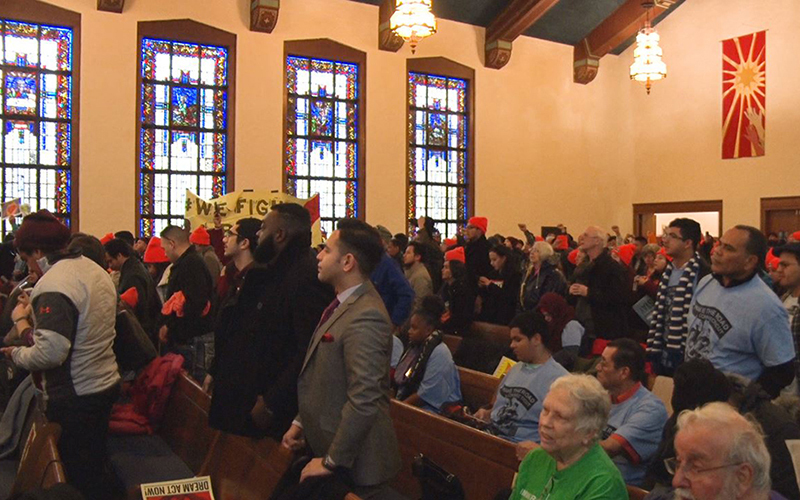 That spirit was evident at the day of action, where advocates packed the pews and hallways of the Lutheran Church of the Reformation just blocks from the Capitol. They listened to speeches from Democratic lawmakers and advocates and eagerly participated in call-and-response exchanges before moving out to protest on Capitol Hill. 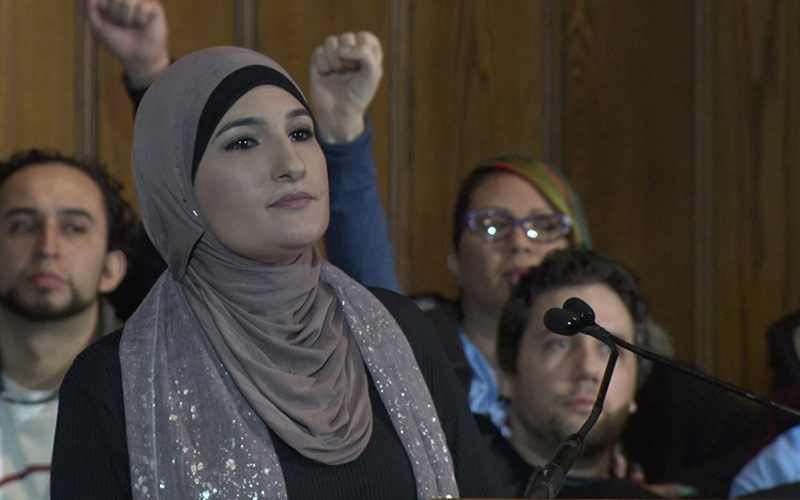 Political activist Linda Sarsour, who was co-chair of last year’s Women’s March, told the crowd at Wednesday’s rally that she was “talking to Nancy Pelosi,” urging her to not take the speaker’s word on any promise of a vote. Sarsour said if it takes a government shutdown to get what activists want, then so be it. She called on government workers to stand with activists. The government briefly shut down last month when Senate Democrats, demanding a vote on immigration reform legislation, refused to approve a federal budget extension before it expired on Jan. 26. Democrats relented after Senate GOP leaders promised to bring the issue up for a vote, eventually, and the Senate extended the budget through Feb. 8. The House Tuesday voted to extend the federal budget and keep the government running for several more weeks. But the Senate unveiled its own two-year budget plan Wednesday that would ease defense spending caps, while funding other programs. That bill is expected to pass Thursday and will head back to the House for final approval. She made that point during an eight-hour floor speech, backed by a rotating cast of House Democrats. Extended debate is almost unheard of in the House, but Pelosi exploited a rule that lets leaders speak for as long as they want as a courtesy. Her speech – running from just after 10 a.m. to just past 6 p.m. – set a House record. At the church rally, meanwhile, Rep. Keith Ellison, D-Minnesota, said he will not vote for anything but a clean Dream Act. He credited the activists at the rally for urging Congress to make change. “It really is about the pressure you have all brought to this moment. And it is that pressure that is making everybody have to act,” Ellison said. Ruiz, a resident of Phoenix, is a DACA recipient herself. Now 33, she came across the border with her parents when she was 15 years old. “I was once a teenager like many of the DACA recipients right now, but I have been again waiting for a solution for people like myself,” she said.